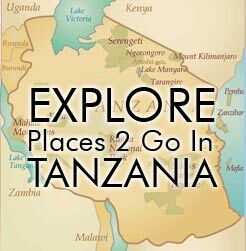 Access 2 Tanzania > Uncategorized > Travel to Africa: How Can You Make it Unforgettable and Worthwhile? Travel to Africa: How Can You Make it Unforgettable and Worthwhile? Africa is for sure the ultimate destination for all those travel enthusiasts out there. The continent is not only blessed with a multitude of floras and faunas, others are even extinct and can only be seen in there, but Africa certainly satisfies the heart of those who love the extreme and hunger for enthralling escapades and adventures. The idea alone of traveling a continent wherein its member countries are mostly undeveloped with a kind of culture that is very far from your own is absolutely exciting and at the same time a scary prospect to think about. A travel to Africa is like a travel back time since you can still have a glimpse of how the Earth looked like years ago. Nature at its best is reflected with the plants and trees in different sizes and the wildlife freely roaming around the plains and savannahs. A truly magnificent sight, right? And maybe a once-in-a-lifetime experience for you. There are many travelers in Africa who prefer the more convenient life inside hotels and depend much the success of their travel on the help of very expensive tour guides, but for those who want to see Africa outside those posh facades should go off the beaten track. Just remember that there are a lot of risks in a trip like this so you have to plan things in advance with the help of some people who are very familiar with the different places of the continent for you to be away from serious trouble. Africa has its own rules to live by. This should be understood and internalized the first time you set foot on the continent for you to go back home bringing with you only good stories to tell. There are two different options for you to fulfill that adventure trip that you’ve been dreaming about. The first option is to do it using a 4×4 like the LandRover. The LandRover is a tough vehicle so it can survive with the rough roads that you’re gonna be passing. Its engine also is just very easy to repair so though you only know the basics about repairing cars, you can pull it through with the LandRover. But of course make the necessary precautions before heading to that adventure so that you can avoid much trouble along the way. While having the trip, it is advised that you travel in convoy. Travel in at least a group of three cars for your own safety so that somebody can help you in case your car wouldn’t be working anymore. Certainly you wouldn’t want to get stranded in the middle of Africa’s vastness alone, right? If you have company with you, there would be people who can assist you and also be there to help in case there’s an animal attack. Always sleep on top of your car’s roof in a tent or inside the LAndRover to keep you warm and safe at the same time. The second option by other travelers is to travel by motorcycle. Guess this is an extreme choice because of the danger that awaits anyone who will opt for this. But if you have the heart to do this, well you can try. Just make sure that you have prepared a lot in making this adventure trip a success. Ask help from people or tour guide companies who have tried giving packages like this so that you can prepare the necessary precautions as advised. Now it’s your choice which way will you fulfill your African adventure. Just always remember to plan things ahead before your travel to Africa and keep yourself safe all the time!